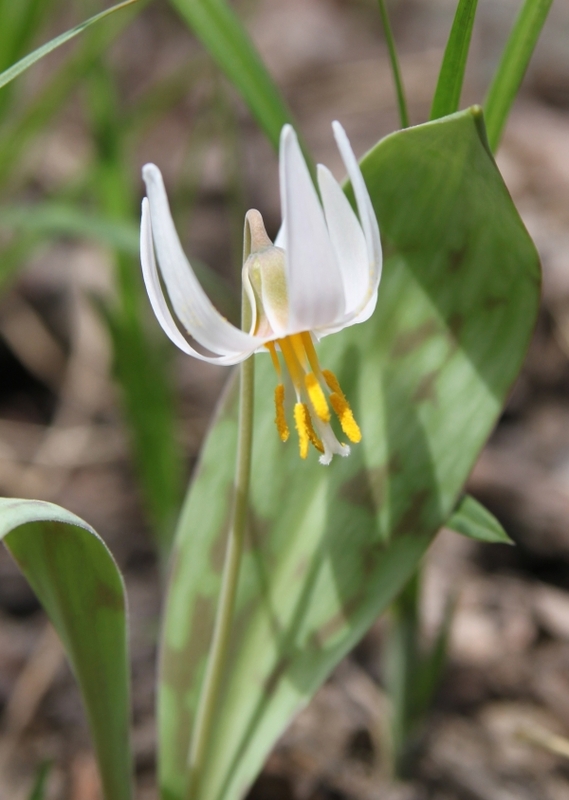 Also called White Dog-Tooth Violet and Small White Fawn-Lily. Similar to Trout- lily except white. Below St Paul's along Muskegan River in Big Rapids, Mi 49307.